Sonoma Wine Tours are a once-in-a-lifetime must-do. Whether you’re wine-tasting with friends, visiting a wine garden with colleagues for business or celebrating a wedding with family at one of the wine resorts, you’ll love the comfort and luxury that a large-party Bus Limo offers. Our large-party Executive Buses are ideal for groups as they provide all of the amenities of a luxury limousine with far more space and extras. 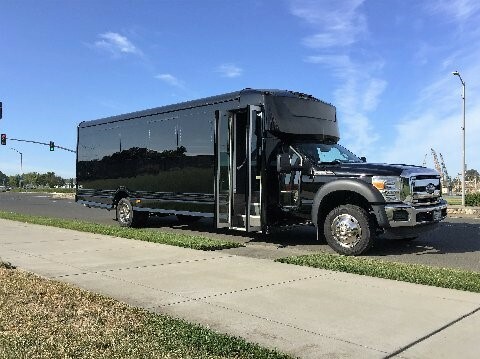 An Executive Bus allows you to take in all of the sites, ride in style and with their full list of amenities you can enjoy the utmost comfort all the way from the airport to your Sonoma Winery. Our large-party Buses are the premiere option for groups who wish to enjoy the wide range Sonoma’s riches from the coast to the valleys, the redwoods to vineyards. Contact us now for information on our fleet, our services and the wonderful Sonoma Executive Bus Wine Tours. Sonoma Wine History: During prohibition Sonoma wineries, like Sebastiani, still produced wines for medicinal and religious use. It is said that during this time many people found religion! I used Million Services for my friends bachelorette party. Their services were absolutely OUTSTANDING! We took the Sonoma Wine Tour. They provided a great selection of wineries that was perfect for us. They also took us downtown to enjoy the local stores and restaurants for brunch. The bus was beautiful, fully stocked with champagne, and had aux and Bluetooth available for our music. Our chauffeur was friendly and super helpful! He really made sure we had an over great experience. I highly recommend using them if your looking to plan a group event! !